“It looks like something out of Gilligan’s Island,” said one visitor. “It reminds me of Southeast Asia,” said another. 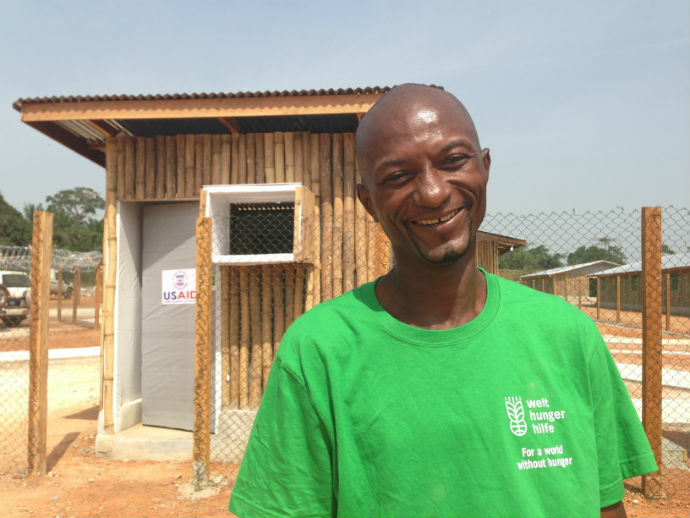 These are not the comments one typically overhears while visiting an Ebola treatment unit (ETU) facility in Liberia. 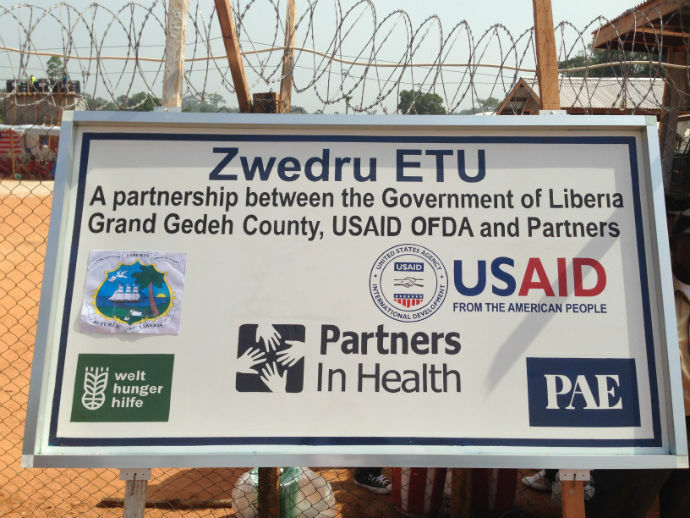 But then, the ETU in the town of Zwedru—about 300 miles east of Monrovia—is far from typical. The first thing you notice is the bamboo. It lines the outside of all the structures, from the patient triage area to the visitor’s tent. As it turns out, there is a practical reason for using this decorative material. 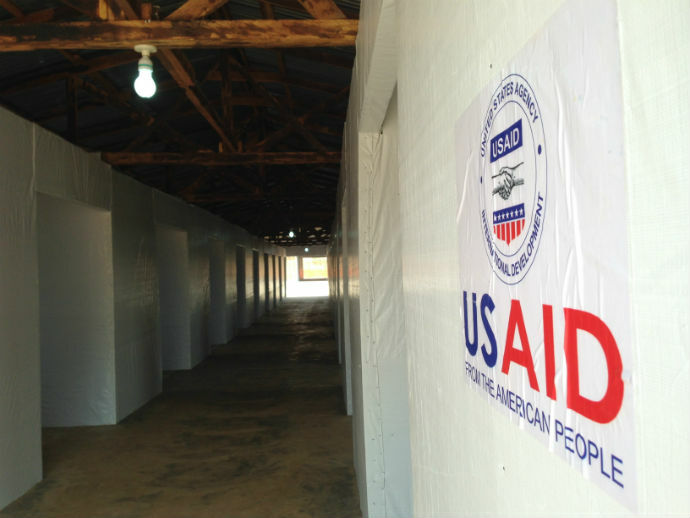 In Liberia, where temperatures routinely climb into the 90s, the inside of the clinical care tents can be suffocatingly hot—a danger not only for the patients who are losing critical fluids but also for the health care workers clad in layers of protective clothing. The bamboo and all the other construction materials used to build the ETU were purchased locally, a move that kept costs down while also helping the community. Welthungerhilfe purchased gravel from local workers who hammered rock into small pieces by hand. These workers—and the more than 260 local people hired to build the ETU—in turn, had more disposable income to spend. Now, even the man selling meat sticks outside the facility has more money in his pocket. “You include the community and it helps them accept your project and gives them hope,” said ten Boer. The construction team encountered road bumps along the way—literally. 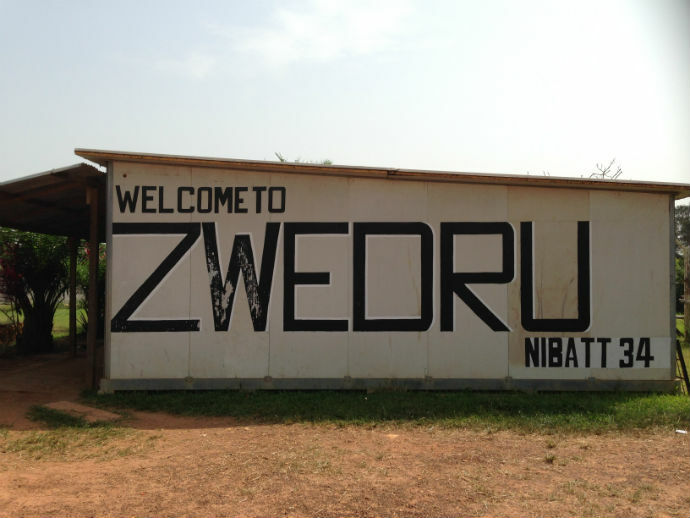 Zwedru is a 10-hour drive from Monrovia along pitted roads that were impassable until mid-November due to the rainy season. When trucks started moving, they often got stuck for days. Then, there was the shortage of construction materials. 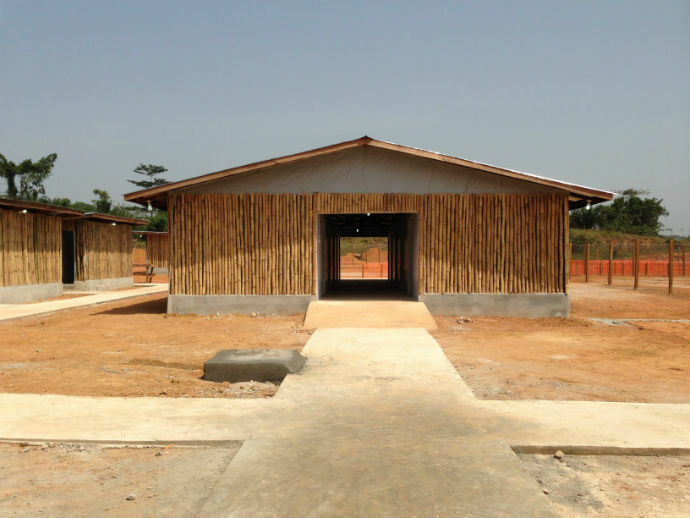 ten Boer’s team had purchased all the cement available in Southeastern Liberia. More was needed, but driving it from Monrovia was out of the question given the road conditions. The U.S. military had to be brought in to transport additional cement by helicopter. “What has been pulled off here has been really amazing,” said Welthungerhilfe Country Director Asja Hanano. 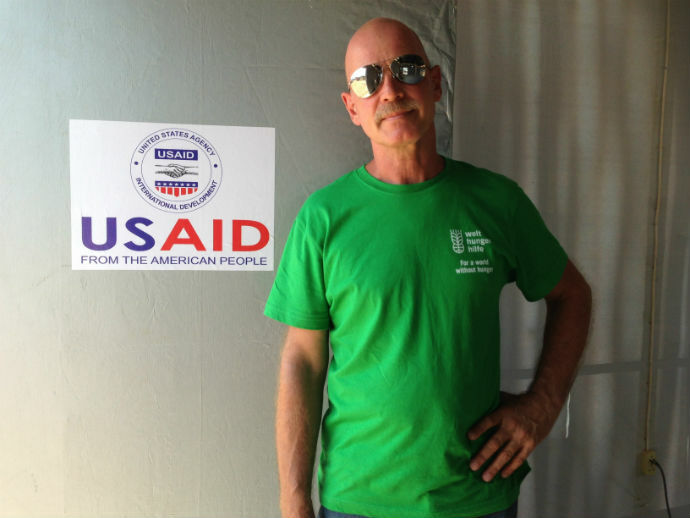 For head engineer Daniel Dined—known as the “mastermind” of the project—designing the USAID-supported ETU has been a personal mission. It allowed him to use his technical expertise in a way he never imagined to help his country. Community leaders were invited to take a tour of the ETU soon after construction wrapped up. 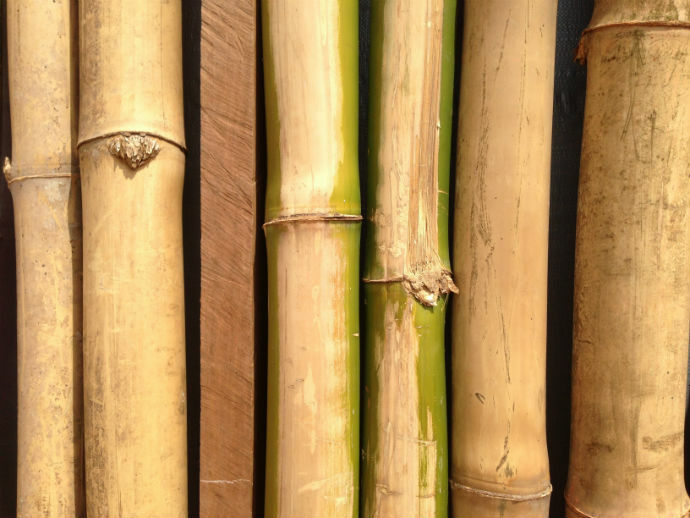 Hands touched the bamboo. Many had praise for the construction workers who built the facility. Despite all this, no one expressed excitement about the inevitable next step. The Ebola Disaster Assistance Response Team (DART) is overseeing the U.S. Ebola response efforts in West Africa. The DART includes staff from across the government, including USAID’s Office of U.S. Foreign Disaster Assistance (OFDA), the U.S. Centers for Disease Control and Prevention (CDC), and the Departments of Defense and Health and Human Services.